John Henry Rubs and Seasonings | Patio and Hearth Co.
We have a wide array of John Henry’s Rubs and Seasonings, To see our entire selection please come into the store and have a look! 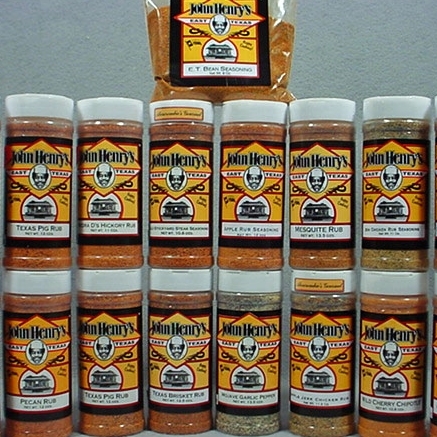 We select the finest all natural herbs and spices to create John Henry’s Blackening Seasoning. They add an incredible depth of taste and flavor to everything you cook. Blackened Seasoning, Great on any fish or seafood, but also widely used on poultry, meat, vegetables, soup, rice, bean and pasta dishes. Bubba’s Rub Seasoning, but with some bite. By bite, I mean you can definitely feel the fire of its character. This is my seasoning of choice for blackening. 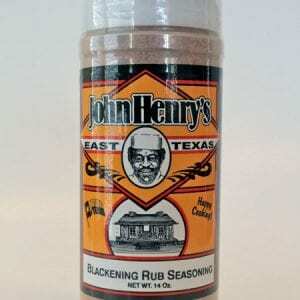 Inquire about John Henry Rubs and Seasonings using the form below.